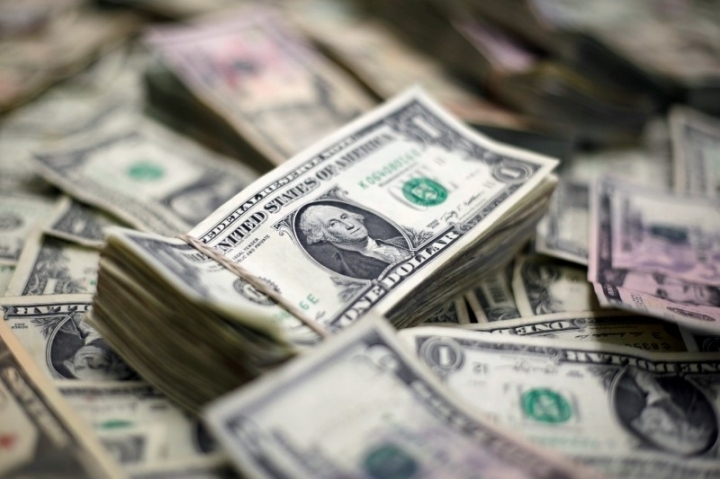 NEW YORK (Reuters) - The dollar fell on Monday as investors pared long bets on the greenback and rebalanced their positions ahead of Federal Reserve Chairman Jerome Powell's first congressional testimony. Powell will testify on the economy and monetary policy before the U.S. Senate Banking Committee on Tuesday, followed by testimony on Wednesday to the House of Representatives Financial Services Committee. He is likely to reiterate the Fed's gradual monetary policy tightening, although any suggestion of caution on trade could unravel the market's appetite for risk, analysts said. Powell "is very scripted and to the point and doesn't really shoot off the hip a lot," said John Doyle, vice president of dealing and trading at Tempus Consulting in Washington. "So I think what he says is going to be fairly consistent for those two days, and there won't be any kind of major hint or slip-up or anything like that." In late trading, the dollar fell 0.2 percent against a basket of six major currencies to 94.526 <.DXY>, sliding for a second straight session. The uptrend on the dollar remained intact. Since hitting a more than three-year low against a basket of major currencies in February, the dollar <.DXY> has gained nearly 8 percent. The dollar's growing inverse correlation with global risk appetite has also fueled a near 6 percent rise in the greenback over the last three months. Monday's bounce in European stocks, led by strong results from Deutsche Bank , snapped that trend. The euro , meanwhile, rose 0.2 percent against the dollar, to $1.1708, after weakening half a percent last week.